The Sentence a Day is just a little initial taster that was added into the website, so that people could get a feel for how the course works before they signed up. It’s very short, so doesn’t last very long. I know it’s not available in the apps, but I’m not sure why you can’t see it on your phone if you’re looking at the website in a browser. That seems rather odd, but technology can do strange things at times. So, if you want to run through the complete taster course, it sounds like you’ll need to do it on your laptop. If you decide you want to continue on though, you’ll be able to do the course lessons through an app on your phone. Thanks, Dee. I think that explains it - the Sentence A Day is just a taster. I’ll go with the course that has daily Challenges. I can do that both on laptop & phone. Many thanks, I am slow getting going but plan to do day 5 tomorrow. We each work at our own pace - do what works for you! Let us know how you get on - we’re all here to support you! Pob lwc/Good luck! Croeso a s’mae/welcome and hello! I have both the mobile browser and the app loaded and open simultaneously most of the time. It’s wonderfully synchronised in that you can start reading a thread in one and find it ready for you to commence from in the other (I use Android btw). You may have gathered that I am one of those old-school computer users; forgive me-I can’t seem to manage just one window/app…but I digress. As @dee has said, the taster lessons are the cheese in the language trap! Once you are in and have an account I don’t think you can get to those…but you get so much more in here with us! The SSiW app enables you to pull the lessons from the and play them offline (handy) whilst the browser does not. Just a thought. Hi, On Duo Lingo I learnt that I can’t = dw i ddi gally; here I see on the vocab list that I can’t is fedra’ i ddim . What is the difference please? Also I am not too sure how to post questions or comments on the forum. Hi Francoise, don’t worry, gallu and medru are both verbs meaning ‘to be able’, so there is no difference. medru is perhaps more common in the North, and gallu more common in the South (but you are allowed to use either wherever you are!). To post questions or comments on the forum, you can either add to an existing thread just like you have done here (open the thread and press the reply button), or to start a whole new topic, just press the +NEW TOPIC button (in the top right corner on my screen, though apps may put it somewhere else, I’m not sure). If you want to check if something similar has been posted before, you can search for keywords by pressing the magnifying glass in the top banner (between ‘forum’ and the 3 menu lines) - sometimes doing that first will give you an answer without needing a new post, so that’s quite handy! Hi, having completed the first five days in one sentence in Welsh. I can mix the words I have learned in different sentences without referring back to the lessons. I have tested my new sentences out on my wife who is a Welsh speaker with great success. I thoroughly enjoyed the five day learning course and can’t wait to learn more of the Welsh language. Reading the forum some people refer to the first and second year course then there is the six month online course or are there more lessons to follow online. Please can you advise on what I should do to progress. That’s fantastic progress- well done. I think that is a little example - in a nutshell - of how SSIW as a teaching method cuts straight to it. It is radically simple - and incredibly effective. Things have moved on a lot in the short time since I started - I paid a monthly subscription (when the time came) and worked through the challenges myself. Now there are several options which give you a structure if you prefer eg weekly tasks - which sound great to be honest - taking you through the challenges either over a 6 month or 2 year period, I believe. So it’s a bit of a personal preference and depends on your timescales!! Have you had a look at the SSIW site for the options? 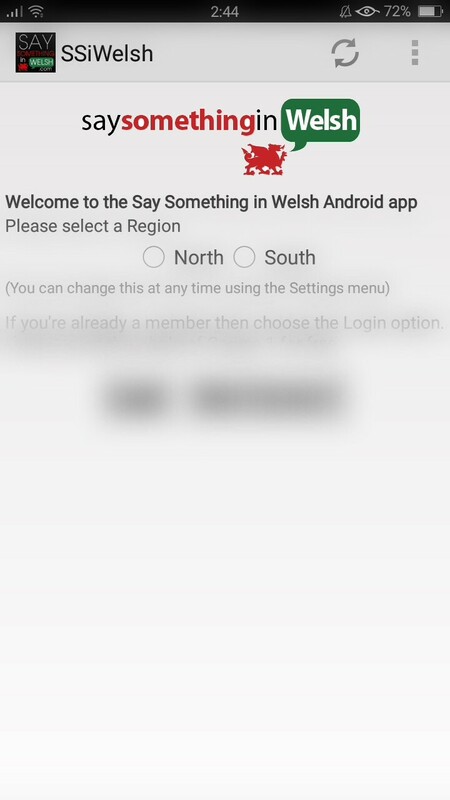 My name is Roy and I just started say something in Welsh, as I live just across the river severn and visit Wales alot for walking and holidays and meet loads of welsh speaking people and would love to have a conversation with them in their own language. 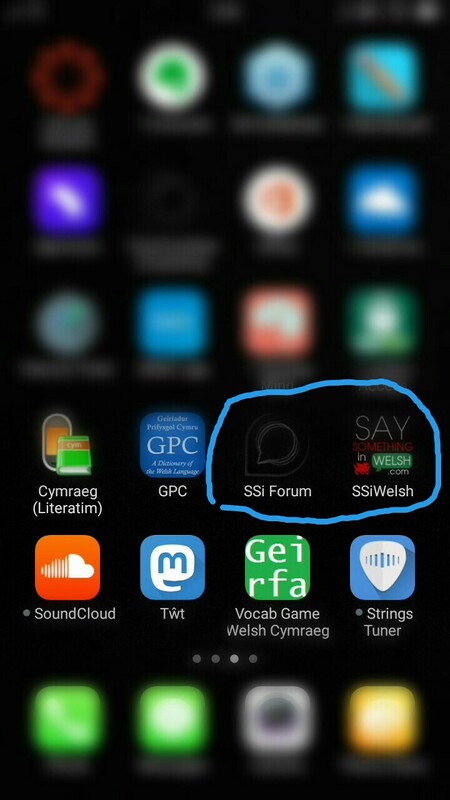 So out of respect for the Welsh language I have taken the the first steps in making that happen. Looking forward to all the hard work it’s going to take but in a light hearted way because I want to enjoy the journey. Bendigedig/wonderful! There are a bunch of us here learning together to walk the path with you. It’s all looks overwhelming at first but I am determined to stay at it and looking forward to be apart of this forum. Dal Ati (Keep at It)! If your brain starts to overheat and feel like it’s melting-that is a sure sign of newly-firing synaptic pathways being built. The magnifying glass symbol up in the top right of the screen/app (both) allows you to search the forum for specifics if you are wondering about something and think it likely to have been asked before. I thought I’d pop on here and say hello. This is the first part in a process that I hope will result in being able to converse - at least a little – in the language of the country where I was born, live and love. Where (and when) I grew up, there was little focus on the Welsh language and as my family were not existing Welsh speakers, learning was low on the priority list. Now that my daughter is in High School and that I have a role in the sports community that involves all parts of Wales, the time is appropriate to deal with the language gap and scratch an undeniable itch. I look forward to taking those baby steps in here! Now that my daughter is in High School and that I have a role in the sports community that involves all parts of Wales, the time is appropriate to deal with the language gap and scratch an undeniable itch. I look forward to taking those baby steps in here! There could be others posting here that might fit the bill too…don’t be shy! Hello Sean. My daughter is actually going to an English speaking school, but will be studying Welsh throughout high school. Always happy to participate in academic studies though. Wow, really impressed with the teaching method used to grasp the first sentence in Welsh. I followed the method as you instructed and it went in fairly quickly and stayed there. I am feeling very confident and excited about learning some more. I moved to Wales over a year ago and would like to converse in Welsh with my friends and neighbours. Thank you for getting me on my way . Sounds as though you’ve done brilliantly, Angela - well done!